It’s not hard to find what you’re looking for when it comes to food in the New River Valley. 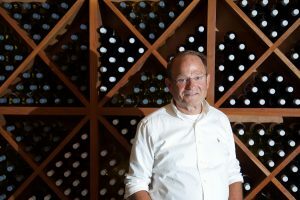 We may be a collection of small towns, but the sophistication of restaurants, wineries, and breweries in our region is anything but small. Hungry? Stop by The Blue Door Café at “The Merc” and get a meal from Hell’s Kitchen Finalist Chef T. Thirsty? Head to Red Rooster Coffee or Radford Coffee Co. for an amazing afternoon pick-me-up. If insanely good food is what you want, look no further. 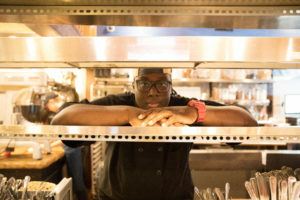 Chef T, the runner-up of Hell’s Kitchen, is the best of the best in the NRV. Known by locals as simply “The Merc,” this favorites spot is always thinking up new and delicious ideas for customers. 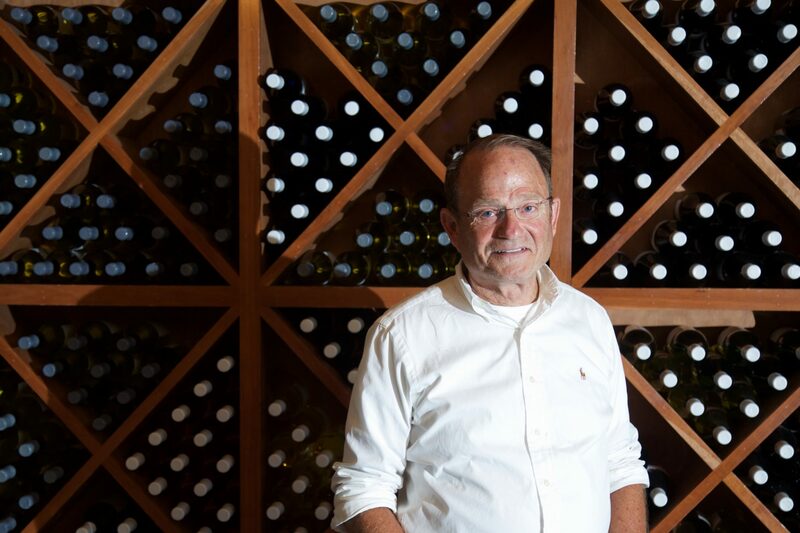 A long-standing tradition, this 3rd generation winery makes delicious wine on a stretch of preserved land in the mountains of Floyd. Stop by for a wine tasting or an amazing meal at the restaurant, which has one of the best views in the region. 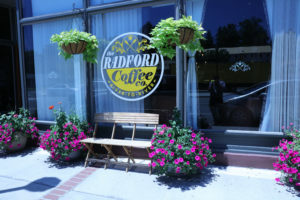 Not only can you pick up a delicious cup of coffee here, but the profits at Radford Coffee Co. go to the Rio Coco area in Nicaragua to fund children’s education. 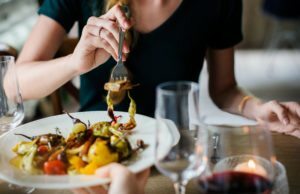 RCC is passionate about delicious coffee, great food, and helping others..
Perched atop a gorgeous view in Eggleston, this old general store turned top notch restaurant is a favorite destination for people from all over the region. Most ingredients are grown in the NRV and are put together to create delicious seasonal dishes”. Eastern Divide Brewing (Blacksburg) — Coming Soon!